Danke an pipolina für den Tipp. 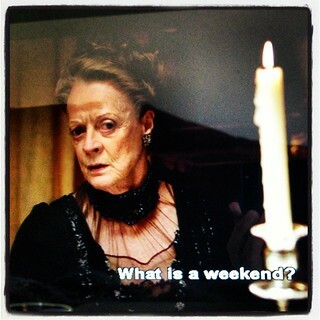 Meine neue "must watch" Serie: Downton Abbey. Sir, Lord, My Lord. Lordship. Ladyship. What a jolly good series! And I also improve my british vocabulary. Blimey, I simply must see another episode. Good riddance!